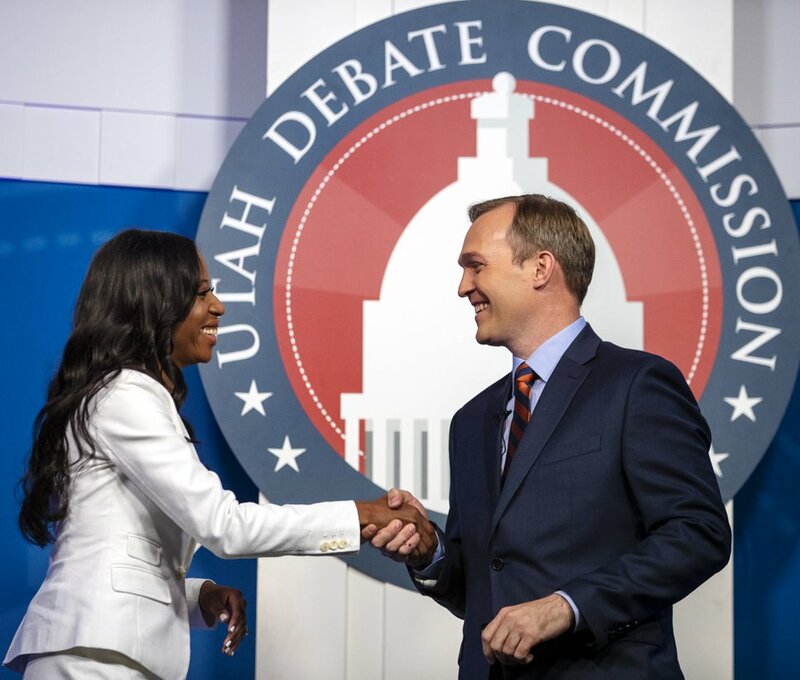 U.S. Rep. Mia Love says challenger Ben McAdams is so “unethical” he should drop out of their race — a call made after she obtained belated written proof that the Federal Election Commission will let her keep most of the $1 million she raised for a never-held primary. “I honestly believe that Mayor McAdams should pull out of this race. 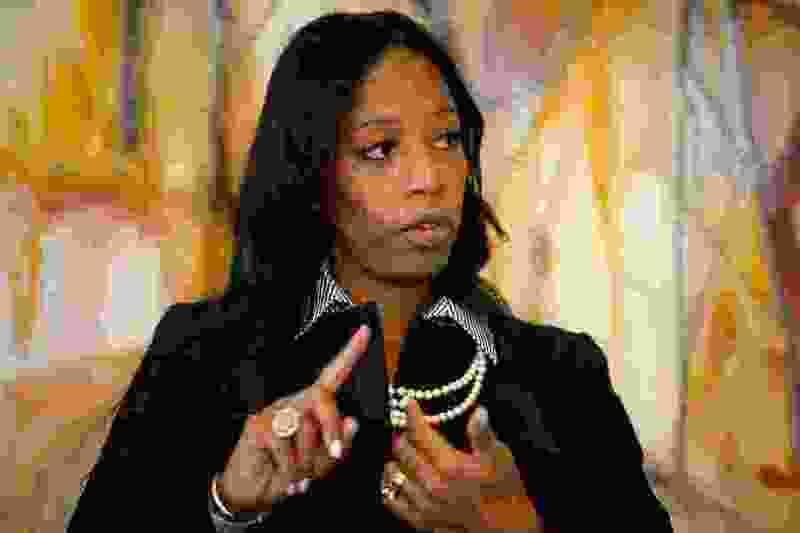 I think it’s that unethical that he should pull out of this race if he is willing to try and destroy totally a fellow Utahn for political gain,” she said Thursday on KSL Radio’s “Dave and Dujanovic Show.” Love blames her Democratic rival for fanning flames over whether that $1 million was raised illegally — and says she is now cleared. 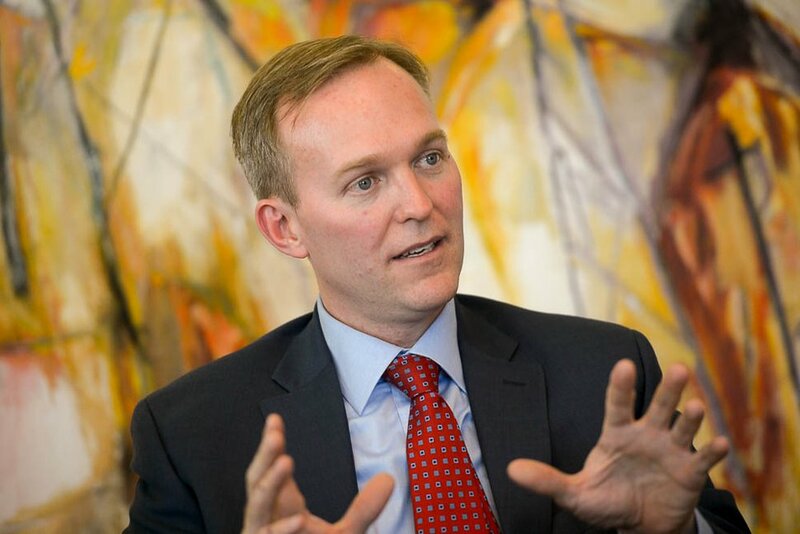 The McAdams campaign disagrees and says the Salt Lake County mayor has no intention of withdrawing from the 4th Congressional District race that a recent poll shows is tied. “Her own filings with the FEC acknowledge that she messed up,” said Alyson Heyrend, spokeswoman for McAdams. The filings this week show Love has refunded $29,000 this election cycle, and her campaign earlier this week said it had either refunded or reallocated money for the never-held primary to other elections. Heyrend also said the left-leaning Alliance for a Better Utah received notice last week from the FEC that it will investigate its complaint about Love’s raising of the $1 million — and would provide any updates in writing. None has been received. “That doesn’t say to me that she’s been cleared,” Heyrend said. However, when The Salt Lake Tribune called the FEC on Tuesday, the agency had no comment on the matter, neither confirming nor denying what Love said. That led to an embarrassing story for her. The Love campaign already agreed to redesignate or refund some $370,000 raised after the GOP convention for a primary election that never happened. With that FEC confirmation finally in hand, Love went on the radio Thursday to say she was cleared — and called for McAdams to withdraw. Raising money for a primary that isn’t held could allow donors to sidestep donation limits ($2,700 per individual or $5,000 for a political action committee) that apply separately to each election. In most of the country, congressional candidates have a possibility of facing only two elections — a primary and a general election. Utah’s unusual laws allow the possibility of three — a convention along with the primary and general. If candidates win by a big-enough majority at a convention or are unopposed within the party — as Love was — they skip the primary. In such cases, the FEC allows Utah candidates to raise donations for just two races, not three. But after Love reported raising $1 million for a primary, the FEC sent a letter raising questions about whether it was legal — and instructed that anything raised for that race should be refunded or reattributed with the permission of donors. Love’s campaign then argued that two years ago, the FEC allowed Sen. Mike Lee, R-Utah, to raise and keep money he raised for a potential primary up to the point of the convention. Lee had faced opposition within the party before the convention, making a primary a possibility, while Love did not — which was known after no candidate filed against her by the March deadline. The new email shows the FEC agrees with Love. “We concluded that the substantive facts at issue were indistinguishable from those presented in the Friends of Mike Lee request,” it said. With that in hand, Love went on the radio and bitterly attacked McAdams on Thursday for pushing allegations that the $1 million was raised illegally. She added, “If Ben McAdams is willing to do this sort of thing to win a seat in Congress, imagine what he will do once he is elected. You can’t trust him to act with integrity…. She also attacked the Alliance for a Better Utah, which filed the FEC complaint against her, as a group run by donors and allies of McAdams and charged that it was acting at McAdams' behest. Heyrend said McAdams had nothing to do with that group’s complaint. The alliance also issued a news release disputing Love’s claim of exoneration. Meanwhile, Heyrend with McAdams campaign, said, “Once again, Representative Love is being deceptive. She has a pattern of lying to Utahns and misleading the press when backed into a corner.